Get Invisalign Before The Year Ends! This year is coming to an end, but we still have an amazing invisalign special going on! We understand the holidays can get a little crazy, but it’s okay to treat yourself once in a while! Give us a call today to set up for your free consultation to see if you’re a good candidate for Invisalign! 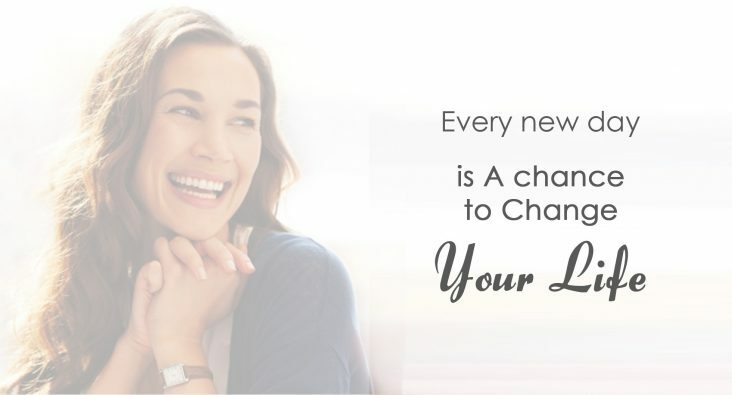 Invisalign Special ends March 30th! A total value of $6,250 for only $4,950! That’s a total savings of $1,300! Ask us about our In-House Financing! 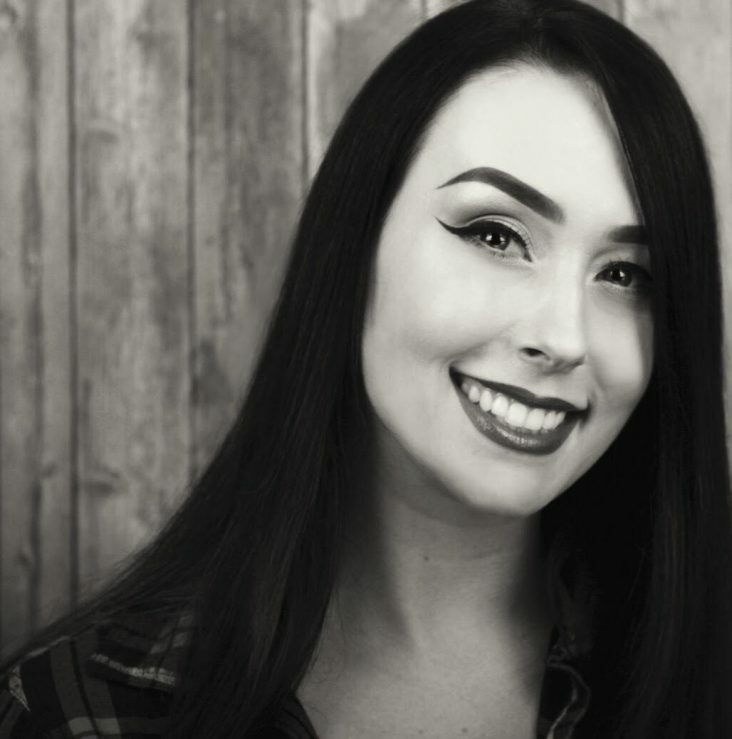 If you would like to have a FREE consultation to see whether you qualify for Invisalign® treatment, ask any one of our staff members and we will be happy to arrange that for you! It’s not all about improving the appearance of your smile! Straightening your teeth is not just about improving the appearance of your smile. That’s just an added bonus! Crooked teeth are more likely to get plaque tartar buildup and gum diseases like gingivitis because the malpositioned teeth makes it harder to brush and floss all the surfaces of your teeth. If you’ve seen or had regular metal braces before and don’t want them, call our office for a FREE Invisalign® consultation to see if you qualify for the “clear tray” version of moving teeth! Invisalign® aligners are clear trays that gradually straighten your teeth without the discomfort and hassle of metal wires and metal brackets! 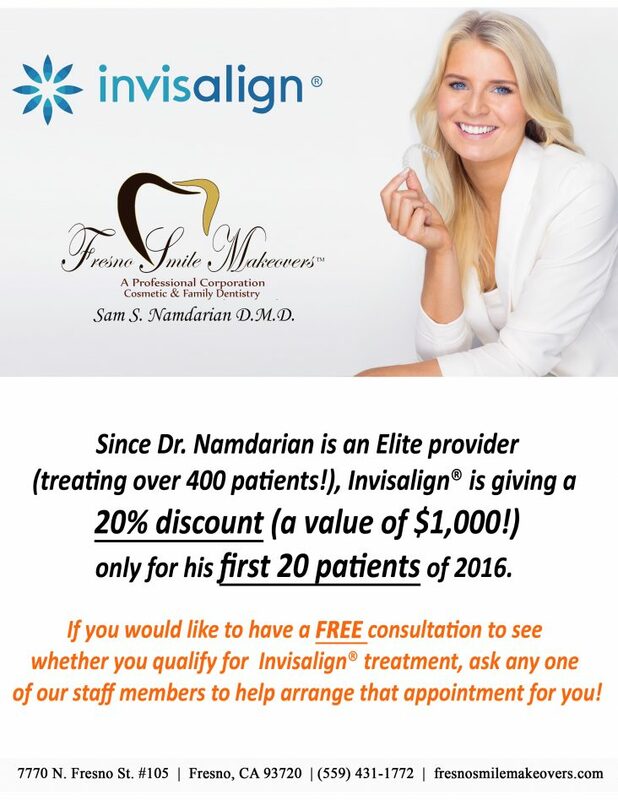 Since Dr. Namdarian is an Elite provider (treating over 400 patients! 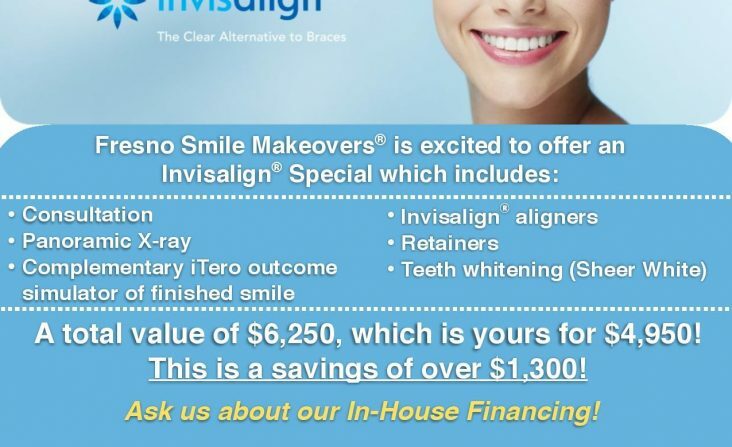 ), Invisalign® is giving a 20% discount (a value of $1,000!) only for his first 20 patients of 2016. 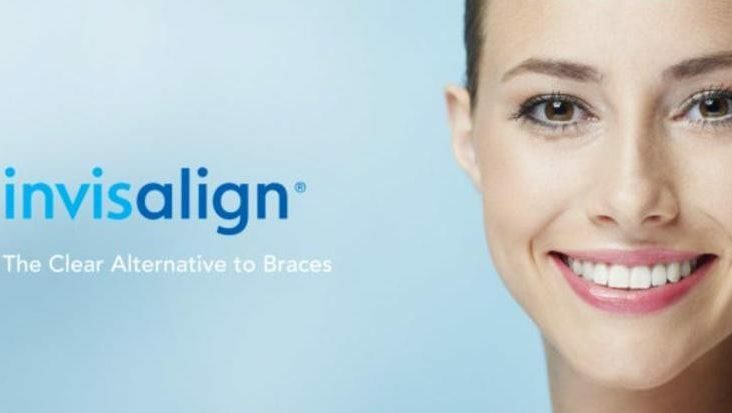 If you would like to have a FREE consultation to see whether you qualify for Invisalign® treatment, ask any one of our staff members to help arrange that appointment for you! Q: Who is eligible to receive Propel? A: All orthodontic patients could benefit from accelerated treatment including cases where difficulty is experienced moving teeth, rotations or closing spaces. Patients who are on chronic steroids or non-steroidal anti-inflammatories are not ideal candidates. Fresno, CA. 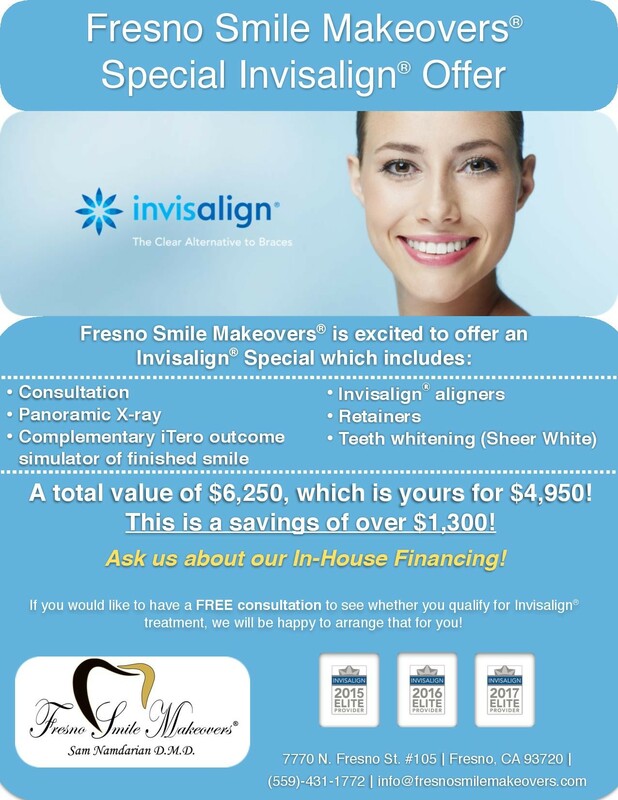 December 11, 2015– Dr. Sam Namdarian of Fresno, CA, is excited to announce that Fresno Smile Makeovers is now offering Propel Excelleration, an innovative accelerated orthodontic option that fast tracks patient’s orthodontic treatment. Excelleration allows patients to achieve the same excellent orthodontic results but in much shorter treatment time that also means less office visits. Propel Excelleration reduces the amount of time patients are in braces or clear aligners by working with the body’s own natural biology to stimulate the bone surrounding the teeth, helping the teeth to move faster. The simple 3-step in-office treatment is performed in minutes by the doctor and is done during a patient’s regularly scheduled appointment. Excelleration yields no discomfort to the patient and requires no recovery time so normal daily activities can be resumed immediately. Results from patients who have already received Excelleration have been exceptional in a range of cases including spacing, crowding, open bite, cross bite, and more. Whether a patient is looking to prepare for their wedding day, an upcoming graduation, or just simply wants to finish treatment sooner, Propel Excelleration will help give them that beautiful smile in faster time. Patients seeking additional information on Propel’s advanced orthodontic treatment are encouraged to call Fresno Smile Makeovers at (559)431-1772. Dr. Namdarian attended University of California, Santa Cruz where he received his B.S. degree in Molecular Cellular Developmental Biology. Dr. Namdarian attended Boston University Goldman School of Dental medicine and graduated with a D.M.D. degree in 2005. After graduation he completed a two year post-doctoral residency program at University Medical Center, Fresno where he served as Chief Resident. Dr. Namdarian is a member of the Frontier Institute (formerly California Center for Advanced Dental Studies) where he now serves as clinical instructor to Dentists attending their cosmetic courses. Dr. Namdarian achieved post-graduate certification from UCLA Dental School and he is a member of numerous professional organizations, including the American Academy of Cosmetic Dentistry (AACD), Academy of General Dentistry, American Dental Association, California Dental Association and the Fresno Madera Dental Society. Dr. Namdarian has also taken extensive training in Invisalign treatment (clear cosmetic braces). He has achieved Elite Preferred provider status due to the many successful Invisalign cases he has treated. 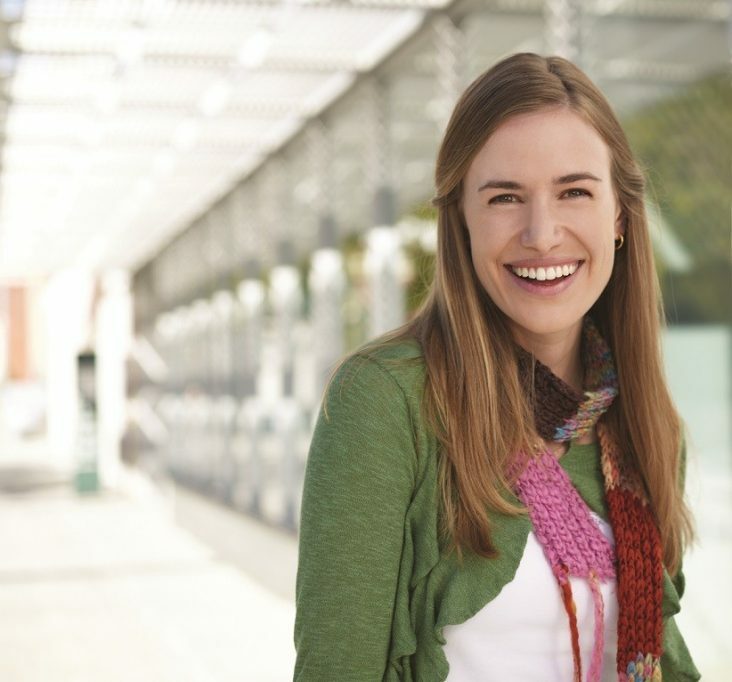 Over 400 Invisalign patients are now smiling with confidence! Overcrowding – When there’s insufficient space for teeth to properly grow. This increases the chances of tooth decay and gum disease. Tooth gaps – This can happen as a result missing teeth or growth abnormalities from the jaw, leading to gum problems. Crossbite – When your upper and lower jaws are not aligned, causing your upper teeth to bite on your lower teeth’s interior. This increases tooth wear, bone erosion and gum disease. Openbite – When some teeth fail to make contact with one another, making chewing and speaking difficult.